You live in Ireland and you think you’re a champion at Street Fighter? 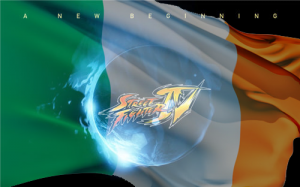 The guys over at Streetfighter.ie (&Boards.ie) have got a deal for all Irish street fighter fans: 20€ for the chance of competing in the world renowned fighting game tournament: Evolution aka EVO. If you win this, you will be flown over to LAS VEGAS and represent Ireland at EVO 2010, brag and (this time yes,) possibly get laid! Rules and extra information can be all found here: Street Fighter.IE.